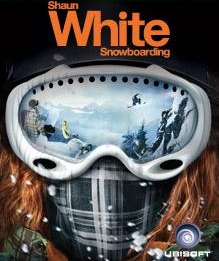 Shaun White Snowboarding was delisted from Steam no later than November 24th, 2014. On consoles, it was last confirmed available on Xbox 360 on January 1st, 2016 and removed from sale by the next Archive.org capture on August 4th, 2017. It was likely delisted on PlayStation 3 and PlayStation Portable (released digitally only in Japan) within this same timeframe. The game remains available on physical media for several platforms. Open-world mountains: Choose how you ride in open-world mountains accross the globe. Conquer the extreme peak conditions, create your own paths in the back country, or compete with fellow riders in the terrain park. Your friends are always around: Play in a world where your friends are always around. Do you own runs on mountains populated by real gamers, or join your friends for a quick session from anywhere in the mountains. More than just snowboarding: Have fun with your friends on and off the board: Throw snowballs, hike to access secret spots, film your friends doing crazy tricks. You can also upload your videos online to share with the world. Ride your way: Express yourself through tricks, riding styles, and highly customizable avatars both in single-player and in the online world. Use the intuitive dual analog control to pull off a huge variety of tricks that express your style.